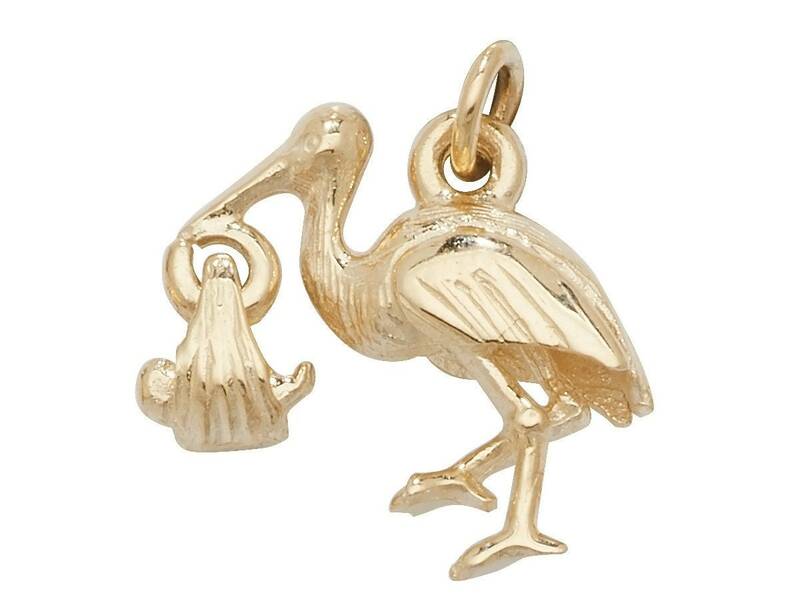 Gorgeous solid 9ct yellow stork and baby charm pendant with chain loop. Pendant size 1.5cm x 1.5cm (excluding loop). Loop size approx 5mm diameter. Average gold weight 2.3g hallmarked.